What’s better then starting the new year fresh? Letting go of objects.. maybe even people that don’t benefit your life. It’s about removing the clutter and chaos from your environment to get more productive and focused in the long term! Before I get started I encourage you to check out my room tour from when I had just turned 17.. the difference is amazing. Check it out here. So here’s my room tour with how I organise and the best tips for decluttering. 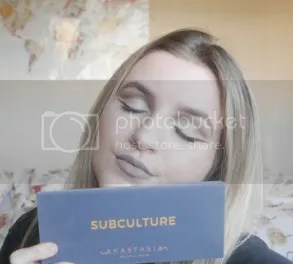 I will have an updated makeup collection and storage published in the next week too so keep an eye out for that and remember to follow this blog! The konmari method is the decluttering practice I’ve been using. Essentially if it doesn’t spark joy or you haven’t used it in the past 6 months let it go. When it comes to sentimental items I find it really hard to let go so I allow myself to keep the most important items. There’s no point holding onto sentimental items if you’re just hoarding them. Designate a box for them and really think about if you need it. On top of this I declutter each category and think about the last time i used it, and if I really need it, or could it go to a better home. In my white drawers I store body care, eyebrow tinting bits and bath bombs, which I usually weekly but not daily. Underwear, old bras that don’t fit or worn out pants. Body sprays – I have a lot of perfume to get through that I adore and choose over sprays. Skincare & samples that I have JUST in case. Nope, I held onto a mattifying moisturiser for 5 months knowing full well I hate matte stuff. Idk. Blankets and pillows that I never use or aren’t comfortable. Sure a colour changing pillow is fun but it feels like it’s cutting my neck when I lay on it. Letting go of objects that remind you of bad memories, whether that means a bad time in your life, a past person or friend. If it gives you bad vibes, bye bye. Speaking of, I just remembered I have a pandora ring I need to sell, lol. Instead of displaying tones of stuff I like to keep things in drawers, organised into appropriate categories. In my bedside table I have things like medication, skincare, important things that I tend to reach for on an everyday basis. Evaluate what you use daily. I use my cabinets for the least used bits for example candles which I use frequently or books – I love displaying pretty things on here too like perfume and records. All of which I use frequently but not daily. Donate, sell, bin, keep. – This is a pretty good guideline to go off! Thank you so much for the tips, it’s sometimes so hard to declutter everything. Your room looks lovely – congrats on your job. Mmm, i love your room and its vibes and your adorable cat just sitting there!!!!! Hahahah! Isn’t it so great to clean up your room it just feels so fresh and new!